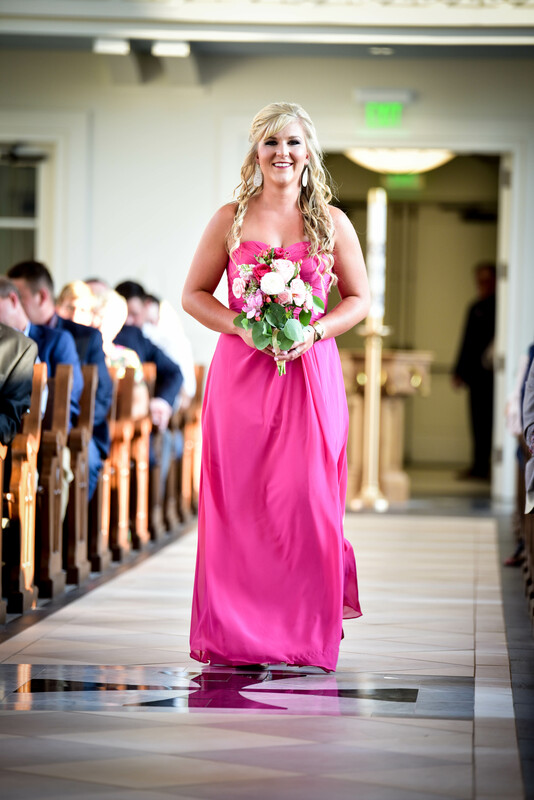 Arabella Allure is a floor-length dress in an A-line cut made of chiffon. 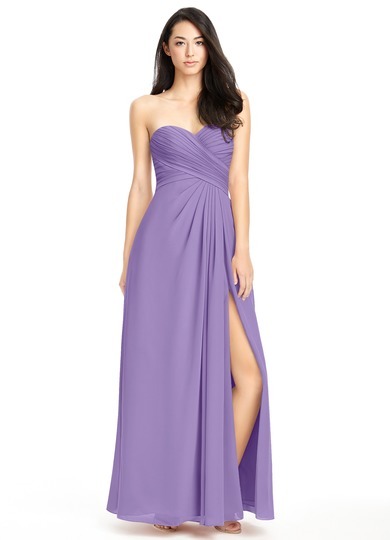 It features soft, draping pleats with a strapless sweetheart neckline and a romantic side slit. Available in full size range (A0-A30) and custom sizing. 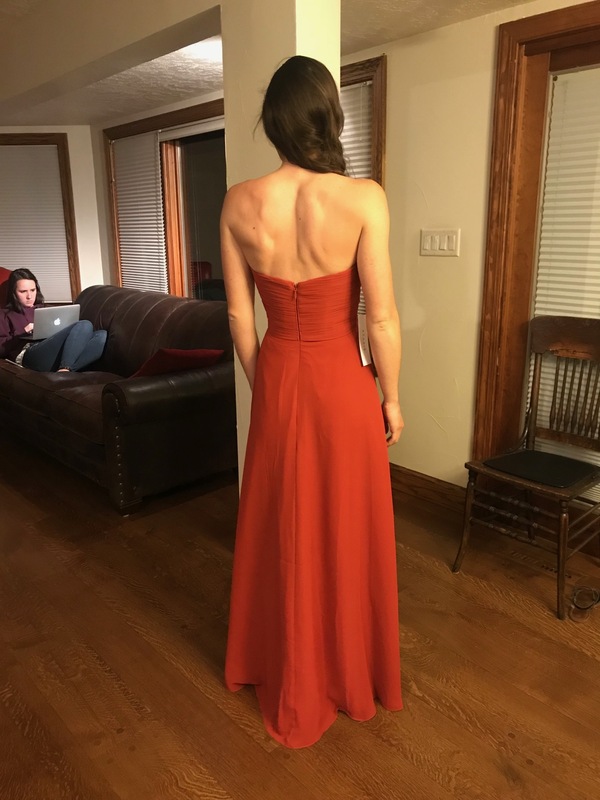 At first, I was very hesitant about ordering a customized dress but I have to say it was the best choice I've ever made. Everything fit perfectly (my chest, the length to the floor, everything). Thank you for making my day. I will definitely be coming back and reccomend this website with my friends and families. Before you put in your measurements for this dress, here's something Azazie doesn't tell you: PUT A MUCH SMALLER BUST SIZE! My bust isn't as large as my custom made dress was made for, so now I have to pay for alterations because there's over an inch of extra space in the bust and with a custom dress, I can't return it for a better fit. 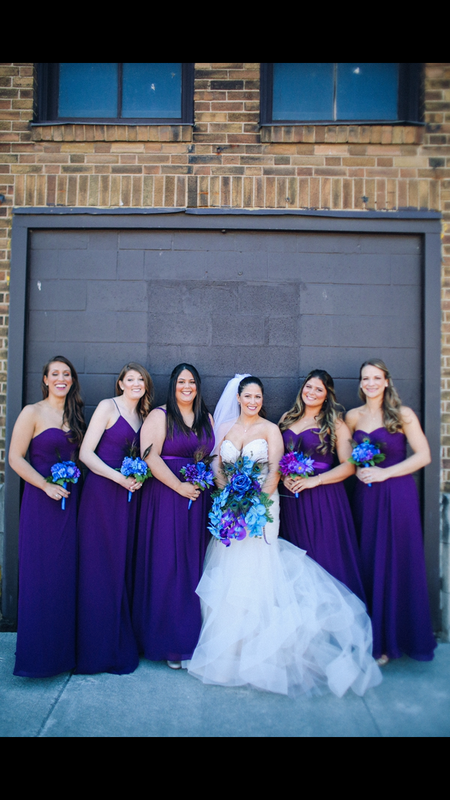 Everyone else in the bridal party had the EXACT SAME PROBLEM. 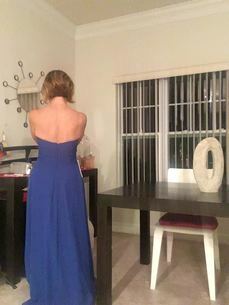 We all followed the instructions and measured our bust at the fullest part, but none of our dresses fit correctly. To say that we are upset is an understatement. We all got custom made dresses because it's the same price, so we all thought we'd be saving alteration money, what a joke. 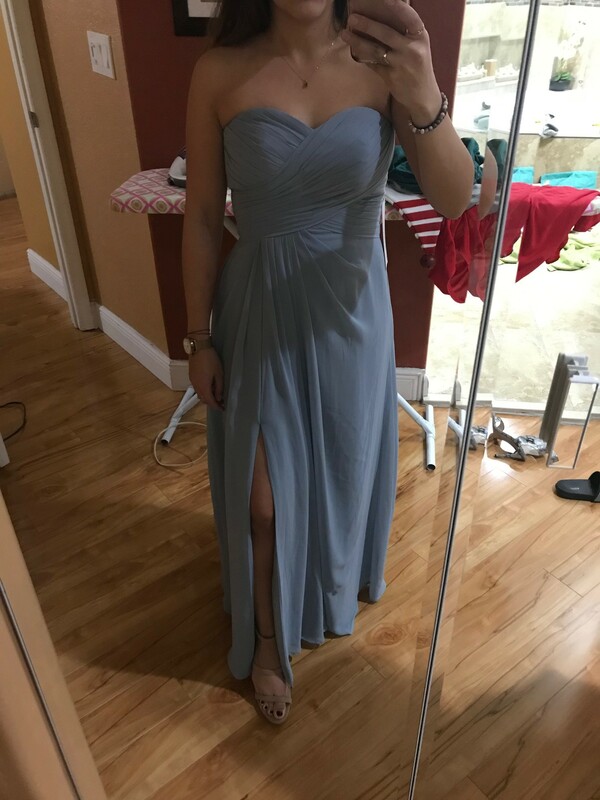 This fit me perfect other than having to get it altered. 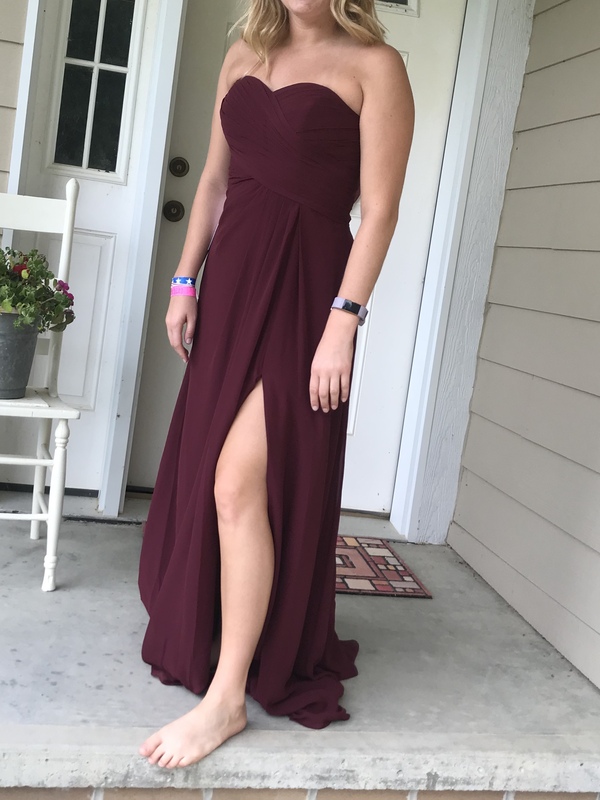 I wore 3 inch heals and it was still too long. I don't remember my measurements, but they pretty much were exactly what the size chart said. I went with the size that matched my waist, which is the biggest part of my body. I recommend this dress and would buy again for another wedding. 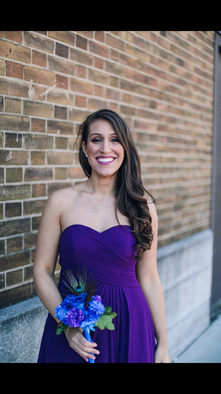 This dress is gorgeous! For a strapless dress, it fits just right. The color is beautiful and the fabric is soft and elegant. I especially want to thank Ferris and the production team for excellent customer service and prompt responses regarding questions about my order. Highly recommend! This dress is beautiful! I order a custom size and it particularly fits me like a glove. I do have to have it taken in a little still at my bust. 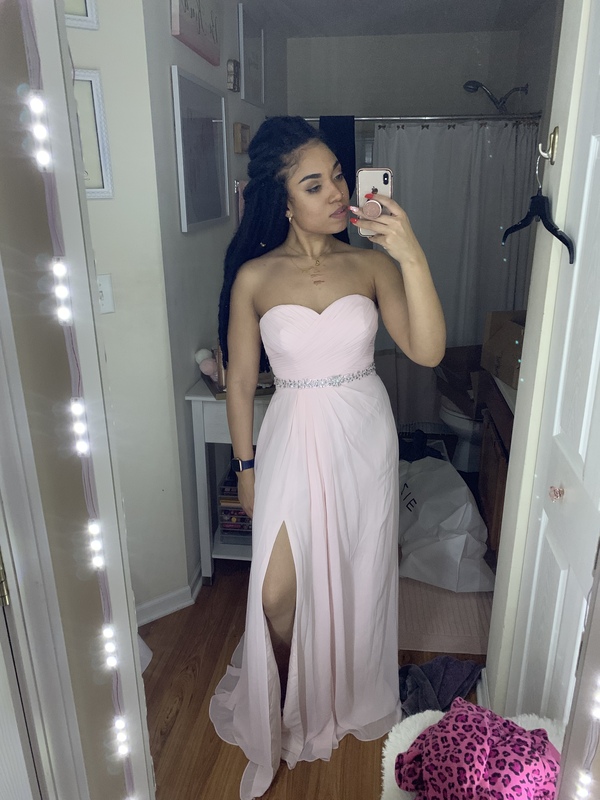 I also order the belt as well from here and it just adds the most beautiful touch to the dress. 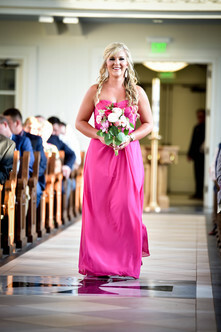 I will be updating my review in June to see how the dress holds up on the big day!! 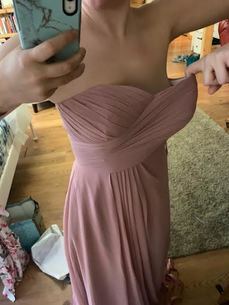 THE DRESS DOES NOT FIT ME!!! 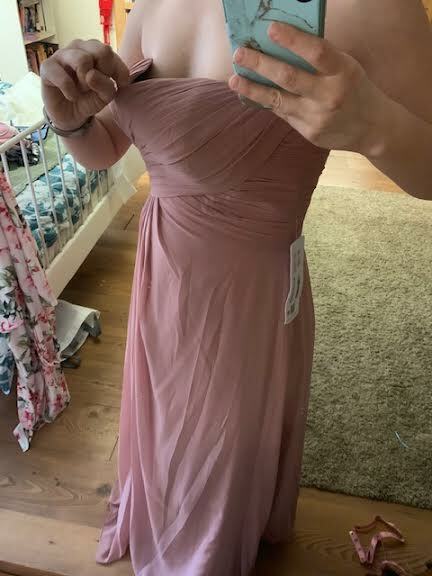 IS EXACTLY THE SAME SIZE THAN THE SAMPLER DRESS THAT I TRIED (A4 - BUST 34.00INCH - WAIST 27.50INCH - HIPS 37.50INCH), THAT FITS ME PERFECTLY. BUT THIS ONE, THE REAL ONE IS NOT OK AT ALL!!! I'M NOT ABLE TO CLOSE THE ZIPPER IN THE BACK, I HAVE EXACTLY THE SAME WEIGHT THAN TWO WEEKS AGO WHEN I TRIED THE SAMPLER DRESS. WHAT HAPPEN??? 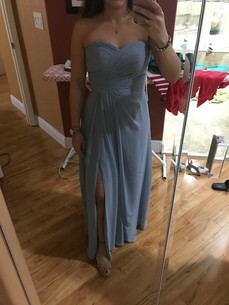 I CANNOT GO TO THE WEDDING WITH THIS DRESS!! PLEASE HELP!!! FIRST PICTURE ATTACHED IS THE REAL DRESS, THE SECOND ONE THE SAMPLER ONE. I ordered this dress for two of my brides maids and loved it so much. The quality was excellent and we loved the colour (grape). They were custom sized and both fit well. One of the girls had to get hers taken in a bit just to make it more comfortable and azazie refunded us the alteration cost with no issues. 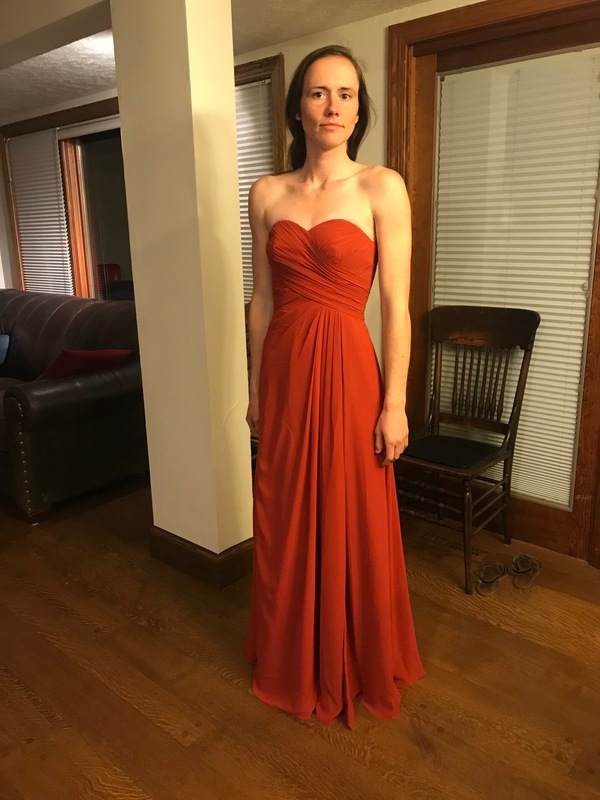 My experience with these dresses was awesome. I would definitely recomend dealing with Azazie for bridesmaids dresses can’t beat the price and the dress we’re beautiful. I really loved this dress! I ordered a 10 and an 8 for my samples, and the 10 was large on me while the 8 fit better. I liked the slit and thought it added a fun touch to the elegance of the dress. 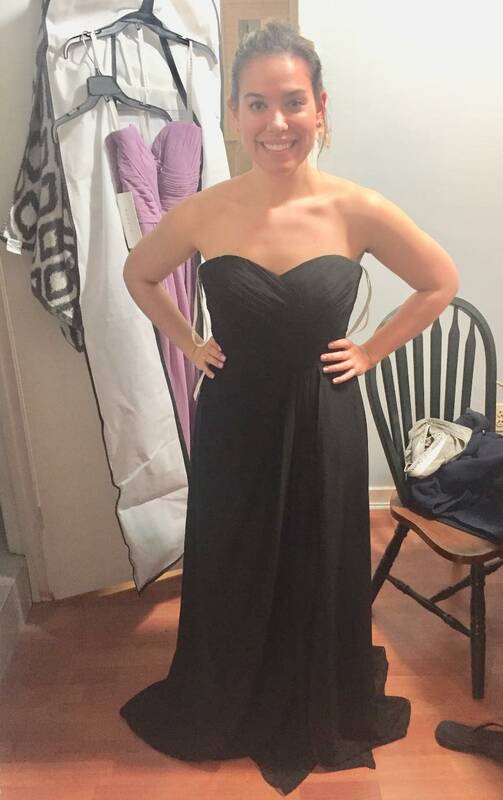 This dress fits perfectly according to my measurements. It is just right. It stays put and looks great. I feel comfortable and am not worried about it falling down, even though it is strapless.